Grab a few of these 50-round boxes of Armscor range ammunition for your next training session. 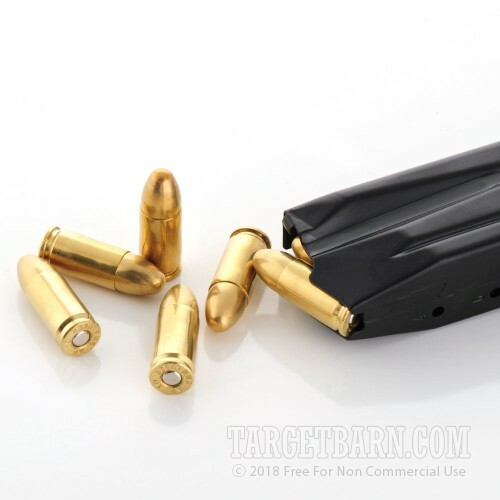 This ammo is inexpensive but reliable, making it ideal for high volume use. Each round in this box fires a medium weight 124 grain full metal jacket bullet at 1,092 feet per second. This balanced weight is common among self-defense loads, making these FMJ rounds a good stand-in for the more expensive JHPs at the range. 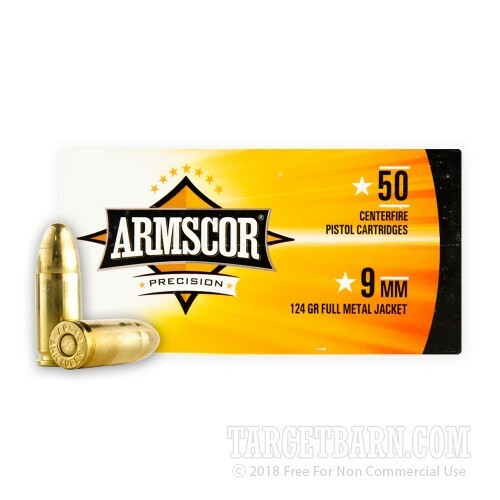 Armscor ammo is made in both the USA and the Philippines and uses non-corrosive Boxer primers and reloadable brass cases.